Well, who was more anxious about Theresa May's conference speech today at the Conservatives conference in Birmingham? Her key advisers, her audience or you? Certainly there was an air of trepidation before the entire event. And that wasn't helped with a 20 minute delay beforehand. Because that had everyone thinking of the Theresa May conference speech nightmare in 2017. However, Theresa May herself appeared to have set the misfortunes of 2017 aside. Because she gave little insight into any public speaking anxiety. Last week we saw the fantastic stage management of the Jeremy Corbyn speech in Liverpool. Well, this was nothing like that. We heard Abba's "Dancing Queen". And that was it. But, we did witness the Prime Minister dance onto the podium, sort of in time with the music. As a visual representation of calmness it worked. Because here was a public speaker who clearly was not beset with any public speaking anxiety left over from last year. Her self-deprecating performance said more than any words. You'll have to excuse me if I cough during this speech; I've been up all night supergluing the backdrop. There are some things about last year's conference I have tried to forget. But I will always remember the warmth I felt from everyone in the hall. You supported me all the way - thank you. 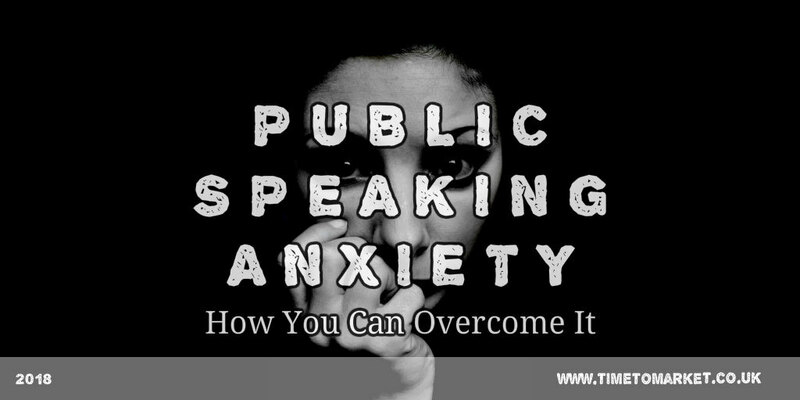 So as she faced up to the previous public speaking problems of 2017 she managed to overcome any lingering anxious thoughts. Her voice commanded more authority than last year. Not that surprising really. But there's still an underlying weakness here which is given away by the coughs and throat clears between sentences. Is it seasonal as the autumn days set in? Perhaps short speeches might suit Theresa May in future? Fewer lengthy speeches as espoused by José Manuel Durão Barroso. Now that should be a target once we are out of the EU. However, in terms of technique the Prime Minister was in control of the situation. Her introduction was a classic historical date reference. And, of course the 1918 reference was most pertinent this year. We heard the odd phrase reversal, suggesting some considerable speech writing in the days leading to this speech. If we thought that there might be any lingering public speaking anxiety then the Prime Minister continued to ooze confidence and control of her material. And she managed more self-deprecation. I was speaking to some inspiring young people, full of fire and hope for their futures. Some told me they wanted to be doctors, others lawyers. The Prime Minister used her speech well with a classic assault on Jeremy Corbyn and the shadow cabinet, but not the rest of the Labour party. And she made some clever, but not malicious, digs at Boris Johnson, after the Boris conference speech yesterday. Classy stuff from the Vicar's daughter. As she settled into her stride she resorted to a listing approach. This is something new for a Theresa May speech. And it's noticeable because it leans on the very confident public speaking styles of a George Osborne Cardiff conference speech or even a David Cameron speech. But getting to this turning point wasn't easy. Ah, yes. We get it. a much-loved phrase of politicians everywhere. We've heard it before, such as this Ed Miliband generation speech. We liked this speech, not least because there was no trace of public speaking anxiety in the Prime Minister's performance. She has faced off the memories of last year and got on with this conference speech. Good stuff. 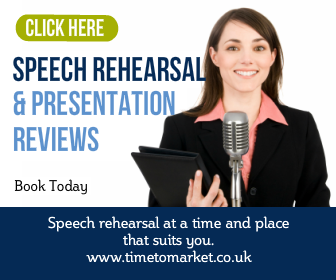 You can always find plenty of public speaking tips for just about any public speaking opportunity. 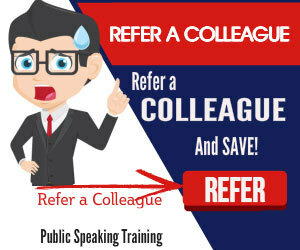 And, when you want to push your conference speaking skills, or you want to banish your own public speaking anxiety then you'll find some skills training is just the ticket. So, when the time is right please don't hesitate to get in touch.